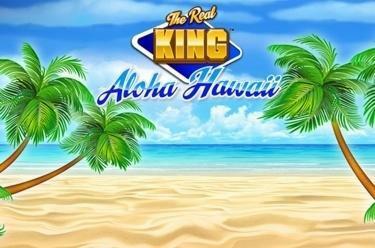 Play The Real King™ Aloha Hawaii online for free now! The King is back! And this time he brought Twists! Elvis now enters the spotlight again where he once played his legendary ‘Aloha from Hawaii’ concert, to bring you big winnings across 10 lines! Meet the legend on a white sandy beach in Hawaii and look for hot Twists under coconut trees! Your aim: Land 5 identical symbols along a win line! All win lines run from left to right along the reels - the winning patters are completely different. To win you have to land several identical symbols from the left consecutively on a line. 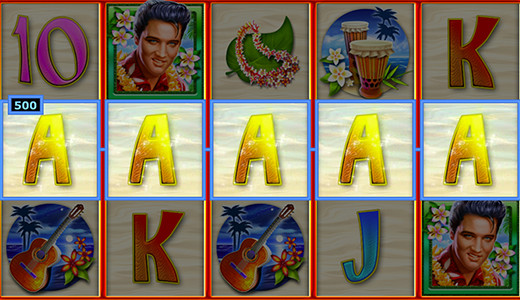 Elvis substitutes all other symbols and can therefore complete your winning combinations; land 3 sunset symbols anywhere on the reels to trigger 15 Free Spins! The red sunset reveals the rich beauty of Hawaii: 3 or more Scatter symbols (Sunset) anywhere trigger 15 Free Games with triple winnings! Your current bet amount in the normal game is also used in the Free Spins, but every line win counts x3. You can also win further Free Spins during your current Free Spins by landing 3 or more Scatter symbols.